Porsche has just released a new video of their newest hybrid: the Panamera S Hybrid. 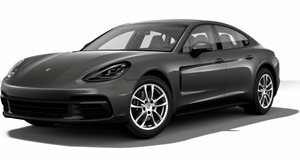 Porsche has just released a video of their new Panamera S Hybrid. It is equipped with a 3.0-liter V6 supercharged engine. Combined with its electric motor, the hybrid can put out 333hp and 428lb-ft of torque. The engine comes with an automated start-stop function. The smart Porsche turns off its combustion engine when you are stopped in traffic for gas conservation. When you hit the accelerator, the gasoline engine automatically kicks on. As a hybrid, it was designed to maximize fuel-efficiency and for lower emissions. The rear-wheel-drive Panamera S Hybrid weighs in at 4,365lbs. The Porsche can hit a top speed of 167mph and can sprint form 0-60mph in 5.7 seconds. MSRP for the Panamera S Hybrid is set at $95,000.